The model - this model follows on from the previous issue of AL1 in late October. 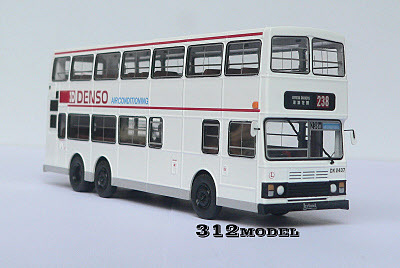 This version carries the additional wording for Denso, makers of the air-conditioning unit used. The bus - AL1 was the prototype 11-metre Leyland Olympian and entered service on 12th May 1988. it was used extensively for trialling the air-conditioning equipment. It was unique, being the only vehicle in the class to feature opening windows, just in case the air-con failed! It also featured a small destination screen compared to the others in the class. 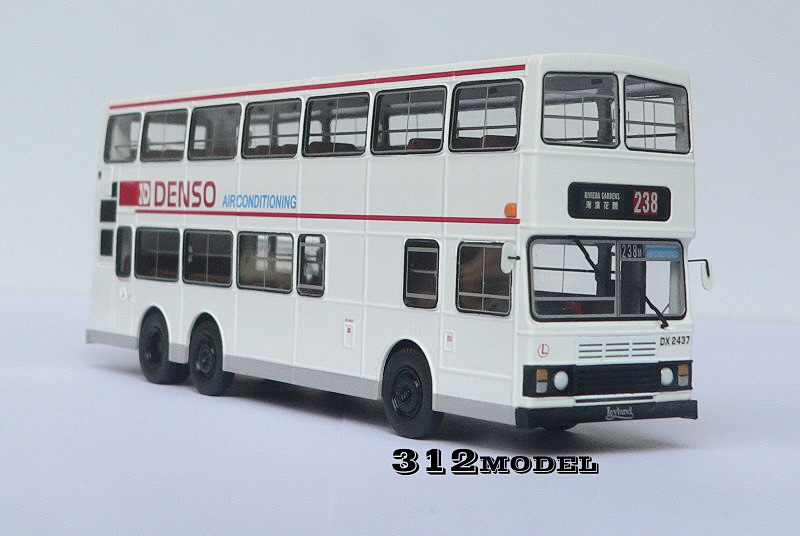 Photographs of the bus can be found on Gakei's excellent site.